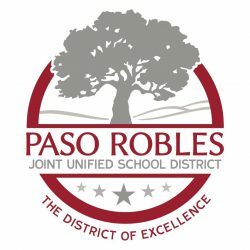 Faced with a $2.1 million shortfall for the 2019-2020 fiscal year, the Paso Robles Unified School District is planning on granting 30 teachers and nine other staff members early retirement. The district has compiled a list of proposed budget cuts for the upcoming fiscal year totaling $2.15 million, which will be discussed at a school board meeting Tuesday. The planned early retirements are expected to save the district $490,000, according to a district staff report. District officials state in the budget cuts plan that the early retirements will allow for flexibility in staffing for the 2019-2020 year. The plan does not provide further details about the early retirements. The Tribune reports county education officials and district administrators met last week with representatives of the teachers union, the Paso Robles Public Educators (PRPE). Jim Lynett, the executive director of PRPE, told the Tribune that 30 teachers have agreed to take advantage of the early retirement incentives. Following the early retirements, the district will likely eliminate four of the 30 positions, and 26 new teachers will likely be hired, Lynett said. The district will obtain savings from the job cuts and from the lower salaries that the new hires will receive. About half of the 30 teachers who will retire early work at elementary schools, while the other half are middle and high school instructors, Paso Robles Deputy Superintendent Jennifer Gaviola told the Tribune. Gaviola also said the four job cuts are related to enrollment projections. In addition to cutting teaching positions, the district also plans to eliminate two management-level jobs. Plans call for the elimination of the director of schools and athletic director positions. The current director of schools will take over the recently vacated director of student services position. The athletic director’s position is also currently vacant. Both the district’s student services director and athletic director recently resigned among a wave of high-level resignations that also included the former superintendent Chris Williams departing the district. Additionally, Paso Robles High School Principal Eric Martinez has announced he will retire at the end of the current school year, and the principals of Georgia Brown Elementary School and the Arts Academy will likewise retire. In all, cuts to management staffing costs are expected to save the district $470,9000 in the upcoming fiscal year. For the 2020-2021 school year, the district faces an additional shortfall of $800,000. It is unclear what additional cuts are expected to close the budget gap. The district’s fiscal woes have already prompted the Paso Robles school board to put a halt to an approximately $10 million aquatic center project that was previously expected to be constructed last year. The project is partially funded by a 2016 bond measure, and supporters of Paso Robles school water sports have argued the aquatic center is desperately needed. Ex-superintendent Williams left the district abruptly late last year less than four months after receiving a new contract with a base salary of about $215,000. Williams received $113,409 in severance pay, despite departing the district with the approximately $3 million budget shortfall, as well as depleted reserves.